For patients with low levels of mobility, the heels are one of the most difficult areas to protect, as they are constantly under some degree of pressure when lying down. The Invacare Maxxcare Pro XL Heel Boots (Pair) are designed to offload this pressure, providing protection and comfort that is suitable for the treatment or prevention of pressure sores in high risk users. 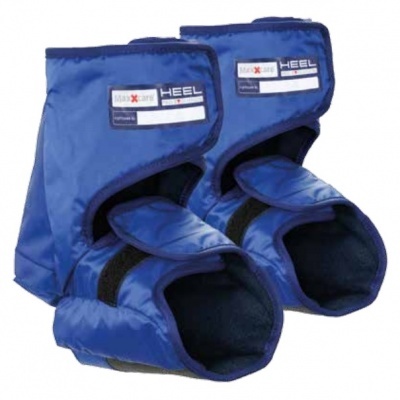 Provided in a larger size than standard heel boots and supplied as a pair, these XL Heel Boots are ideal for users with larger ankles that require protection for both feet at once. This is a pair of Maxxcare Pro XL Heel Boots, which are normally supplied singularly. To determine which size is right for you, consult the sizing section below. 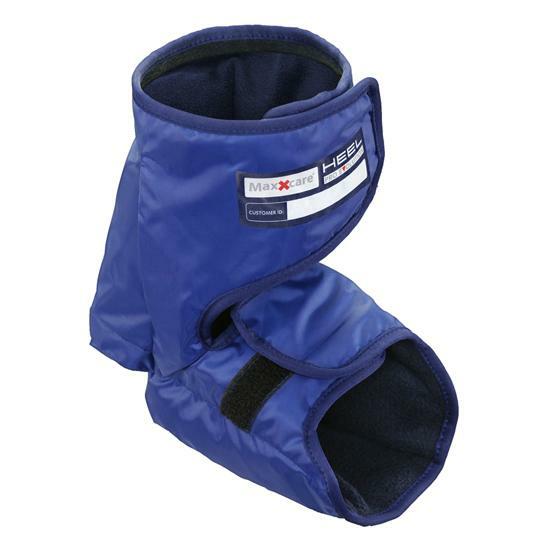 The Maxxcare Pro XL Heel Boot is normally supplied singularly, which can create uneven pressure for those who may require protection for both heels. This pair of heel boots allows you to enjoy pressure relief for both heels at once, and is supplied at a slightly reduced price to make comfort assurance more affordable. The heels are known as one of the most vulnerable areas when it comes to pressure sore prevention. Due to this the European Pressure Ulcer Advisory Panel (EPUAP 2014) has recommended implementation of the "floating heels" principle, used to describe equipment that allows for even pressure distribution on this vulnerable area. The Invacare Maxxcare Pro Heel Boots are designed with this principle in mind, using air capsules to suspend the heels, thereby applying the "floating heels" principle to maximum effect. The light and comfortable Maxxcare Pro Heel Boots can be worn by patients in virtually any position, making their pressure relief applications endless. They completely offload pressure from the heel when used in supine and optimum seating positions, and so are effective as both preventative and treatment tools. To address the risk of pressure damage from shear, the smooth external fabric produces minimal friction between the patient's skin and the underlying surface. The Pro XL Heel Boots are designed for those with large or swollen ankles. 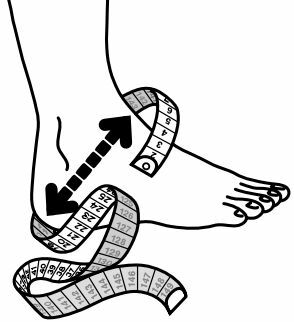 To determine if these boots are suitable for you, measure the circumference of your instep contour from the bottom of your heel to the bend of your ankle, as shown in the image below. If your measurement falls between 38cm and 43cm, the Standard Maxxcare Pro Heel Boots (Pair) will be more suitable for you.